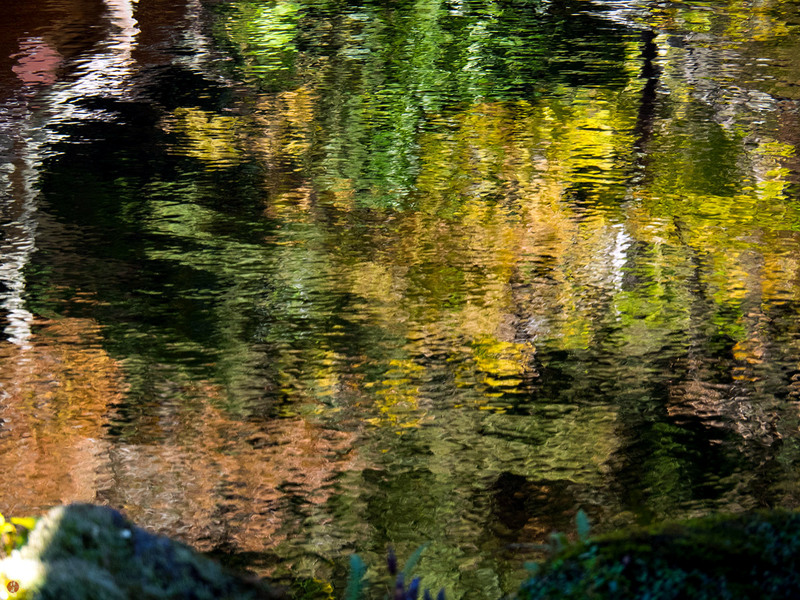 The transitory colors of autumn leaves are gently sparkling on the rippled surface of the quiet pond. In the air which grows colder day by day, flowers are vanishing gradually from view in this garden. Soon, like the magician of color, autumn will dazzle our eyes with numberless flaming leaves and then let us know the explicit arrival of winter by the fast fading of its splendid colors.